TADWA’s proud history spans nearly thirty five years. Here you can learn how a small group of volunteers with a desire to help others sparked a journey that has now helped thousands. 1984 – A group of Telecom (now known as Telstra) employees saw a need for telephones to be modified to better suit people with a vision or hearing impairment. Using their technical knowledge, they volunteered their time to work together towards making phoning easier for people with disabilities. As word spread about what they were doing, demand for their services increased and expanded to other areas focusing on assisting people with disabilities. 1985 – On the 17th of September, the organisation was officially incorporated. 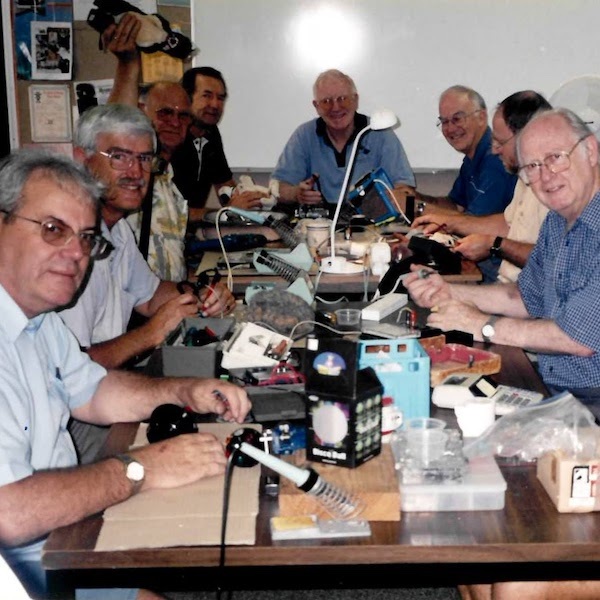 1986 – TADWA (then known as Technical Aid to the Disabled Western Australia) was formed after the volunteers became aware of TAD Australia who shared their enthusiasm to support people with disabilities to be independent. 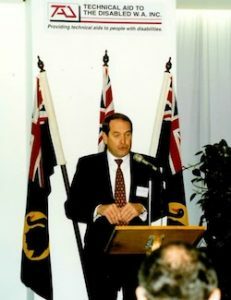 1993 – Barry McKinnon agreed to be TADWA’s Patron. A celebration was held at the fire station in Perth. 1999 – After working out of various locations, Lord Street in Eden Hill became the main premises. 2002 – First source of funding was approved by the Department of Health’s Home and Community Care (HACC) program. 2008 – Outgrowing the premises in Eden Hill, the Bassendean premises was constructed and opened thanks to Lotterywest, WA Home and Community Care (HACC Program) and the Town of Bassendean. The purpose built building is complete with two large workshops and an office area. Services could now be delivered on a larger scale to people in the Perth metropolitan area. 2009 – Seeing a demand for services in the South West region, a secondary premises was set up in Bunbury co-locating with Enable South West. 2011 – The Bunbury premises moved to leased premises at Leichardt Street, Bunbury which provided more space for the increasing projects in the South West region. 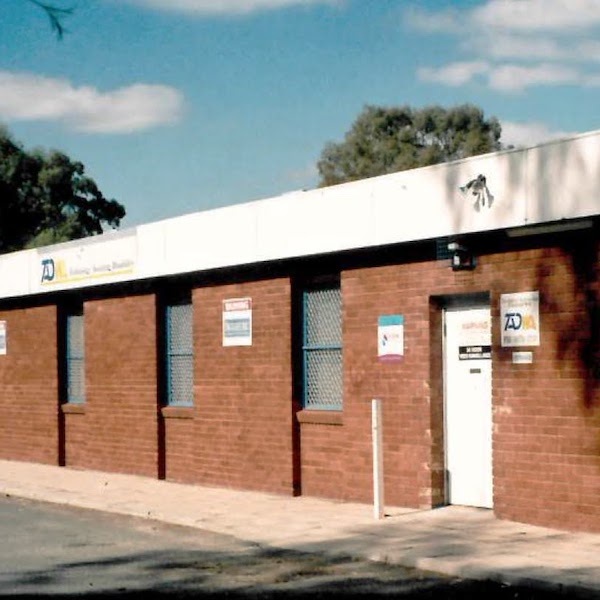 2015 – Due to the growing demand for services in the South West region, thanks to the City of Bunbury, Lotterywest and WA HACC Program, a purpose built building was constructed on Parade Road, South Bunbury. The building was officially opened on the 6th October by Hon John Castrilli MLA; Member for Bunbury and was attended by TADWA Board, management, staff and volunteers. 2017 – The ‘Mechatronics’ unit was created to reinvigorate TADWA’s focus on technology solutions and tap the growing opportunities in electronics and robotics. 2018 – Launch of the ‘Brain:Body Pain Solutions’ service to bring innovations in pain management, including Virtual Reality, to the range of services provided by TADWA. The trading name: “Technology for Ageing and Disability” was registered to better reflect the range of our clientele. TADWA re-branded with a modern, colourful new image that reflects the ‘team of teams’ approach to service delivery.